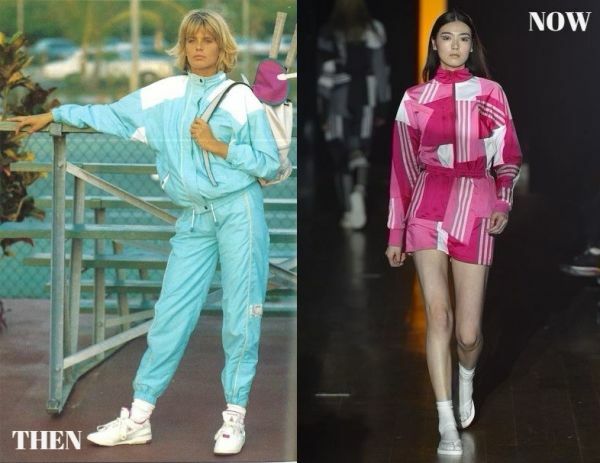 Comeback Caution: 80s Sportswear Is Back With A Bang! You might think ‘athleisure’ is the first trend of its kind. I know what everyone was thinking when Bella Hadid stepped out in one of the very first athleisure outfits to be ever seen. ‘Sports bras as crop tops? Genius!’. ‘You mean I can dare to wear leggings while picking up groceries? 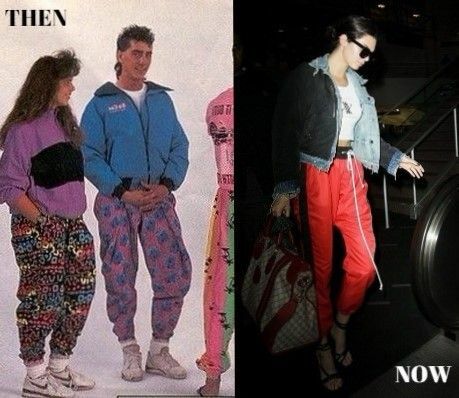 You’re joking.’ But the OG gymwear-as-dailywear days go way back to the 80s. With Frankie Goes To Hollywood’s Relax blaring in the background while you do your homework in neon blue leg warmers, ‘fitness’ was a state of mind - if you’re a 2000’s kid or just confused, ask your folks what I’m talking about. 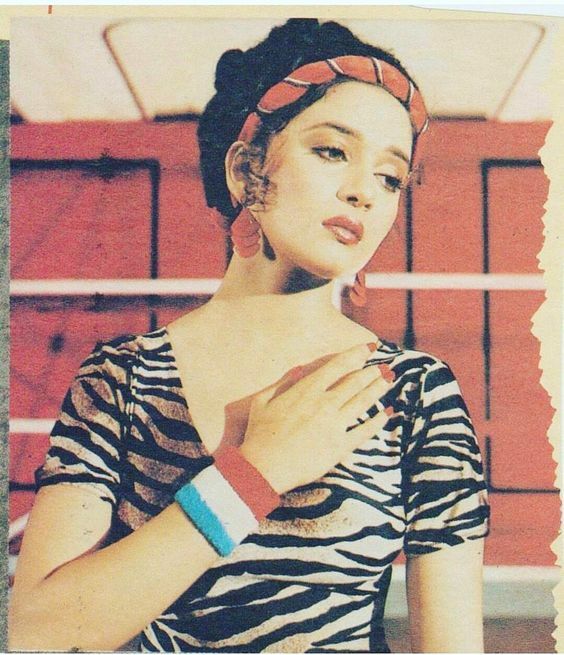 Or just Google my homegirl Madhuri’s 80s cinema stints. It’s a little bright on the eyes, but leotards, wristbands and cycling shorts were all the rage back when our parents were in their teens. 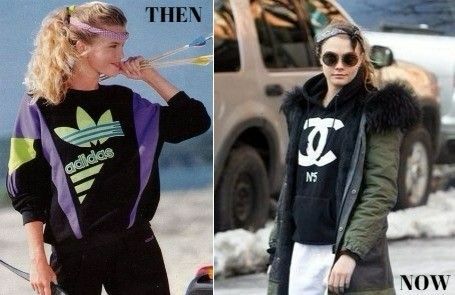 Yes, hearts broke everywhere when the trend was sent on its way after a short but memorable stay… Even though runway appearances of retro sportswear began back in 2009, the world wasn’t ready for it and so, didn’t take to it. But guess what? 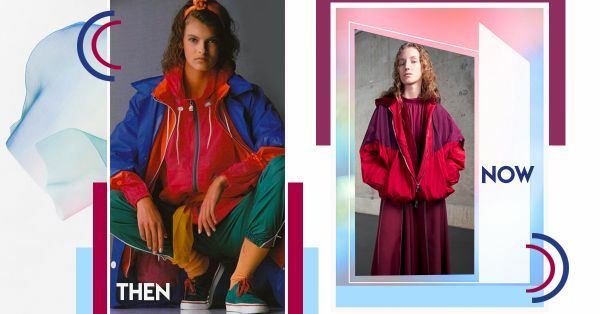 Yes, after scrunchies, customised denim and mom jeans, 80s style sportswear are finally making a comeback in a big way. It’s been a long time coming, but it’s finally here and in full force. 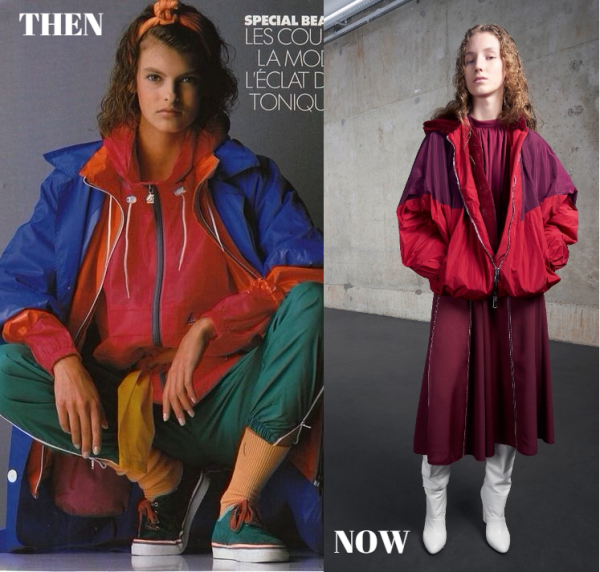 From editorials to Hollywood’s young big bodies, this trend is everywhere; brands like Umbro, FILA, Kappa, amongst other well-known sportswear names are bigger than ever, and at the peak of their fashion renaissance. Let’s take a look at 8 micro trends, inspired by 80s sports apparel, that are making a comeback, shall we? 80s hottie Farah Fawcett maintaining perfect balance on a skateboard = wow. But what’s. even more, wow-worthy? The Nike trainers that Gigi and Ms Fawcett share here. Same shoe, different eras. Brands all over the world are creating their own comeback avatars of the celebrated vintage silhouette. Who would have thought that these would be worn on their own, like, ever again? Not me. But ever since Kim K dared to bare all her curves in them, they’re the talk of the town. Styling trick I love: how she’s styled them with a ribbed tank top and a biker jacket with spike detail. The 80s headband sure got an exotic twist, didn’t it? From awkward to awesome. Thanks to supermodel Cara Delevingne, who’s acing her athleisure look with a knotted bandana around her head. Comebacks FTW, amirite? I can’t figure out why co-ord ever went out of fashion. I mean, it’s the subtlest way to be extra, isn’t it? Take the powder blue tracksuit in this 80s ad, for example. The 2017 version of the VFiles AW fashion show changes solids up for prints, and bottoms for cut-offs. Love. The iconic striped side pane from the 80s was Adidas’ gift to the world. And given that supermodel clans and fitness junkies alike, are obsessed with it, version 2.0 is a smashing success. So much so, that we now have these panels on jeans, wide legged pants, skirts et al. I faintly remember these, but I kind of don’t want to. One look at this hot mess of an advert, and you’re right there with me. This is one comeback you’d want to be careful with. But thanks to Kendall Jenner’s love for sartorial challenges, these have been made over into street chic bottoms you’d want to wear with everything. Cher can crack one hell of a pose, considering the amount of neon on her (and don’t miss the suspenders). Almost three decades later, the neon obsession gets a more sophisticated and stylish do-over - check out the dual tone metallic skirt, and teal shoes. Thanks, after all, the 80s! Back in the 80s, you weren’t cool if you didn’t own at least one OTT windcheater. Doesn’t this magazine spread say it all? Fast forward to a game-changing moment - retro windcheaters with dresses at Giambattista Valli’s Pre-Fall ‘18 show. Can’t say I hate that it’s back in fashion. What about you? Valentine's Day is coming early this month as POPxo Love Fest 2018, powered by Westside, brings you a festival of love! Meet POPxo’s video stars, enjoy makeovers, delicious food, live performances and great shopping! Come this Sunday, 11th February 2018, between 12 noon to 8pm, at the One Golden Mile, New Delhi, to kickstart your own celebration of love!